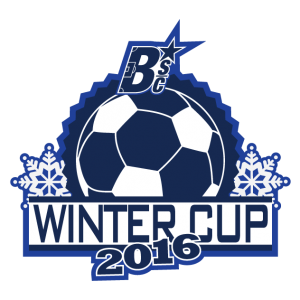 Buffalo Soccer Council is very happy to announce the details for our 3rd Annual Winter Cup! We are returning to the location of our first Winter Cup at Delaware Park! This year, proceeds from the tournament will be put towards our Pitch in Buffalo initiative. We are looking to grow soccer by making soccer fields and futsal courts more available throughout Buffalo and the rest of Western New York. Time: Registration begins at 9:00am. Kickoff at 10:00am. GAME DURATION: Each game shall consist of two 12 minute periods separated by a brief halftime period. Running clock. FIELD: Small goals with no goalkeeper. Goal box is the arc in front of the goal. BALL: The game will be played with a size 4 ball. DEFENSE: No player may enter the goal box to defend. If a defensive player touches the ball in the goal box (even inadvertently) a penalty kick will be awarded. If the offensive team touches the ball within the offensive goal box, a free kick will be awarded to the defensive team. GOAL KICKS: May be taken from any point on the endline, and not in the goal box area. A ball that comes to rest in the goal box is a dead ball and will result in a goal kick by the defending team. NO THROW-INS: The ball shall be kicked into play from the sideline instead of throw in. PENALTY KICKS: Shall be awarded if, in the referee’s opinion, a scoring opportunity was nullified by the infraction. It is a direct kick taken from the middle of the half-field line with all players behind the half-field line. If a goal is not scored, the defense obtains possession with a goal kick. Penalty kicks are not live balls. SUBSTITUTIONS: May be made at anytime from the halfway line. NO STEEL TOE BOOTS or metal studded cleats. Field referee and tournament directors have final say in all decisions. NO fighting, any person causing fights will removed from the tournament and no refunds will be granted, and ejected player’s roster spot can not be replaced. Waivers MUST be signed by EACH team member before the team will be allowed to participate. Players are at their own risk. Buffalo Soccer Council reserves the right to postpone or reschedule due to unplayable fields or extreme weather conditions. After a team pays for registration a member of our team will contact the captain via email with a form to fill out with the rest for the rest of the team information. 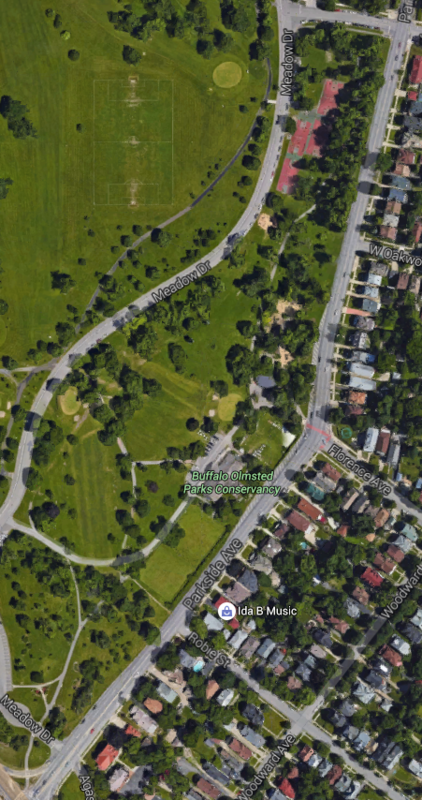 Enter the park either from Jewitt pkwy and park in the zoo lot, or enter the Medow Dr. entrance and there will be on-street parking.